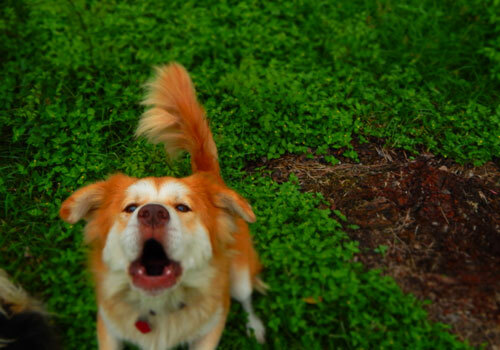 Are your neighbors complaining endlessly from your dog’s unsolicited barking? Had one too many sleepless nights? Fear not – our guide for the best bark collars on the market provides an effective solution to your barking bother. There are different types and models of bark collars, some better than others. We always need to be mindful to research and pick the best bark collar for dogs to ensure their safety. Many people might be put off of bark collars, but there is an available option for everybody. With the help of a bark collar, your (and your neighbors’) sleep will be restored effortlessly, and they help with behavioral training too! If you’re, for any and all reasons, worried about the efficacy or safety of bark collars, we’re here to help. This guide will be a Bark Collars 101 course, with important information about introducing your dog to a bark collar. Note: Above ratings are based on our experience with the product and/or expert opinions. Click the link above to read bark collar reviews and see the current prices on Amazon. “But my barking pooch is perfectly well-behaved!” you might say. Why would they possibly need a bark collar? If they’re barking incessantly, then they need some behavioral training! Barking is part of your dog’s nature. Dogs bark for a variety of different reasons like fear, defense, boredom, territorial behavior and more. It differs by breeds too; it’s just in some pooches’ nature to bark more and louder than others. Despite that, all responsible dog owners need to take action to reduce their dogs’ barking. 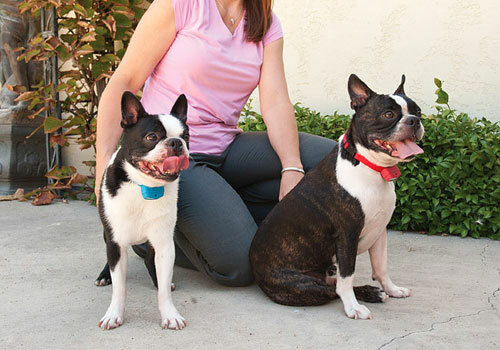 Bark collars are an efficient, safe way to reduce your dog’s barking and even inspire positive behavior. A pooch that’s not distracted by barking all the time is a lot more willing to listen to their owner’s commands. Remember that putting on a bark collar is just the beginning. Find out what the cause of your dog’s barking is – sometimes they just need a good walk, or some attention! As you go on your brave search of the best bark collar for dogs, you’ll no doubt discover there are different types of them. Shock collars are the classic type of bark collars and are very suitable for stubborn, incessantly barking dogs. Basically, bark shock collar is electronically wired, and is designed to deliver a small, harmless, static shock when they bark incessantly. Many people are worried that the shock will hurt your pooch and make them hate you. This isn’t true! Physical pain is only present if the collar is configured incorrectly. The shock that the collar sends is similar to the one you would get by touching a doorknob after walking on the carpet, or touching another person. Every bark collar has a different number of shock levels. A mild shock is triggered upon the first bark – and then it intensifies every 30 seconds if there’s a following bark. Experts agree that, despite the rising popularity of other kinds of collars, bark shock collars are still the most widely bought and most effective way to reduce barking. Citronella bark collars are also known as spray collars because of the way they work – they simply spray the dog with a citrus-like liquid when they register barking. It’s important to note that the citronella spray is plant-based, therefore completely safe for your dog! Citronella collar for dogs is very effective if your pooch can’t take to a shock collar, because they’re more sensitive, or they just aren’t very stubborn. So why does this work? Dogs absolutely hate any citrusy smells. When your pooch starts barking and gets sprayed, they might get confused the first time around. However, they will progressively learn that barking leads to being sprayed. Therefore, citronella dog collar use a gentle negative reinforcement – the smell doesn’t hurt your dog in any way, it’s just really unpleasant. Many people are very satisfied with spray collars; however, they might not be as effective with stubborn dogs. The dog can get used to the smell and just keep barking anyway. 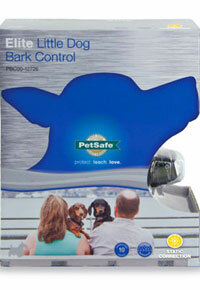 Ultrasonic bark control are perhaps the most popular anti-bark device on the market. They’re meant for sensitive dogs or small dogs. It works for puppies as well, if that is absolutely necessary. The ultrasonic bark collar has a built-in sound detector, which can detect barking and make the collar produce an ultrasonic sound. That sound is at way too high a frequency, so it’s inaudible to humans, but it’s extremely unpleasant to dogs. 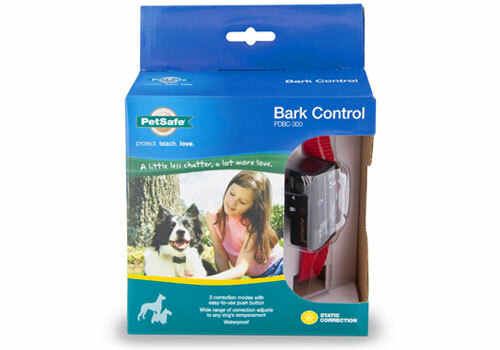 The ultrasonic bark control is completely safe for your pooch’s physical and mental health. It works both indoors and outdoors, and it’s perfectly compatible with other devices for behavioral control. These collars are very sensitive to the sound of barking. Sometimes, the sound of another dog’s bark might activate the collar, and that will lead to punishing your pet for no reason! 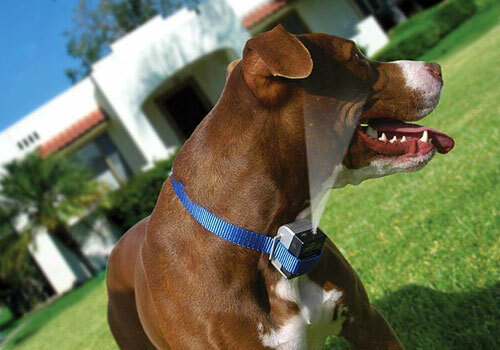 Avoid this by purchasing an ultrasonic dog bark control collar, which detects body vibrations as well. The functioning of bark collars is delightfully simple. 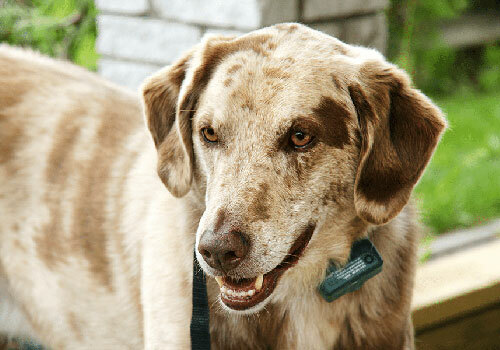 Most often, all types of bark collars rely on a microphone that can detect your dog’s barks. 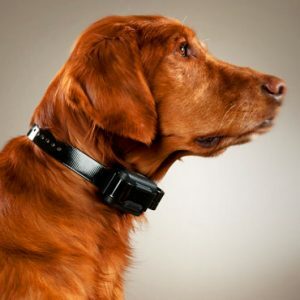 Some dog collars are fitted with technology to recognize vibrations from your dog’s body when they’re barking. After the bark has been recognized, the collar then triggers an aversive stimulus, so that’s a static shock (for bark shock collars), a citronella-scented spray (for citronella bark collars), or an ultrasound (for ultrasonic bark collars). It’s normally good practice to ensure that the collar you’re considering for your pooch can recognize vibrations. It will ensure that your dog doesn’t get punished for other dogs’ barking. Most bark collars have multiple levels of stimulation, depending on how quickly the dog learns to associate the negative stimulus with barking. This is mostly common with shock collars. If the dog doesn’t react to the negative stimulus (the static shock) straight away and keeps barking, the collar elicits a similar shock of a slightly stronger strength until the dog learns that incessant barks lead to the unpleasant shock. A bark collar will be endlessly more effective if it has multiple levels of stimulation. Otherwise, your dog will just get used to the aversive stimulus and start ignoring it! Check the video below about how effective are bark collar. A bark collar is an easy, cost-effective way of teaching your pooch good manners. Using a bark collar is inarguably a lot less expensive than hiring a dog trainer. Especially for first-time dog owners, a fussy temperamental pooch can prove to be quite the challenge. Bark collars’ simplified mechanism makes it very easy to control your dog’s unsolicited barking and maintain a good relationship with your neighbors! Not only that, but bark collars have also been accepted as universally safe for all breeds. Throughout all our thorough and careful research for this article, we haven’t come across a single report of injury any other harm that’s been inflicted upon dogs from bark collars. Not a single incident! This makes a strong case for the safety of bark collars. 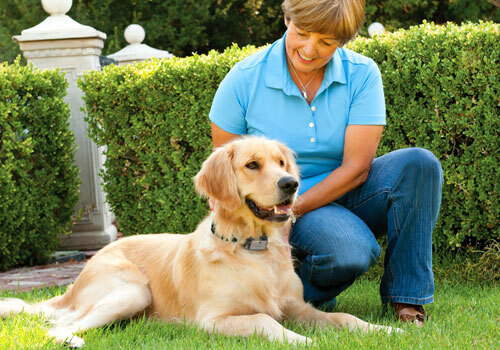 Perhaps one of the biggest advantages of bark collars is that they’re very easy, comfortable and hassle-free devices. Forget reading lengthy technical manuals or fumbling with a lot of buttons. Bark collars are so straightforward and uncomplicated that perhaps your dog yourself could use it if they had opposable thumbs! 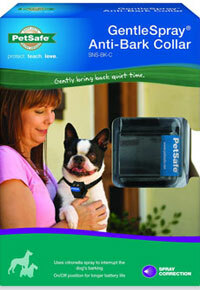 Another great benefit of bark collars is that they have an almost immediate effect. You might want to choose to train your dog out of their barking habit; however the amount of sleep you might lose over that period is almost incalculable! 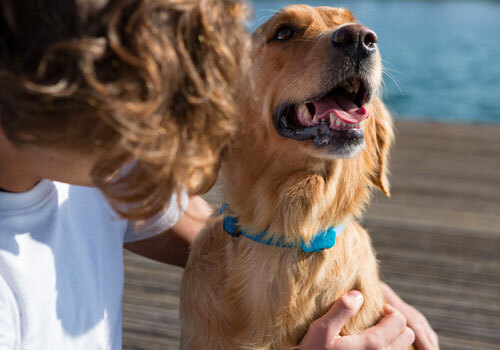 By choosing the best bark collar, your pet will immediately recognize that barking is what triggers the collar’s aversive stimulus (shock, smell or sound.) Therefore they will quickly stop incessantly barking to avoid that stimulus. 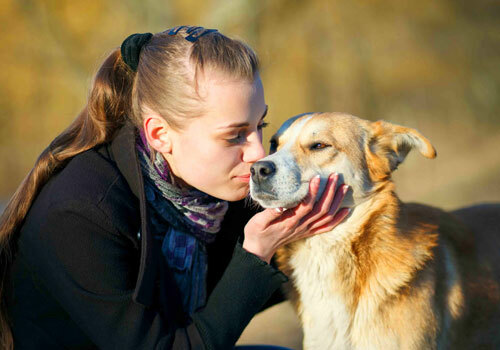 Last but not least, bark collars have a positive effect on the dog’s long-term behavior. 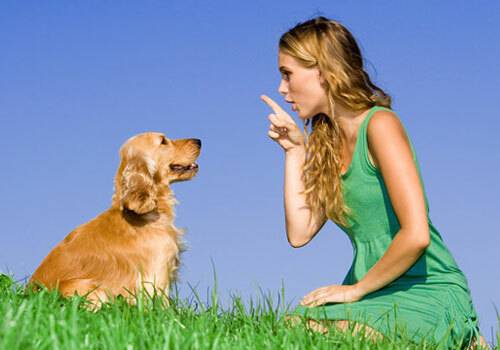 Excessive barking is normally a sign of an undisciplined dog, unwilling to listen to their master’s commands. By controlling it, you will notice that your pooch becomes much more attentive and learns commands with a lot more ease than normal. 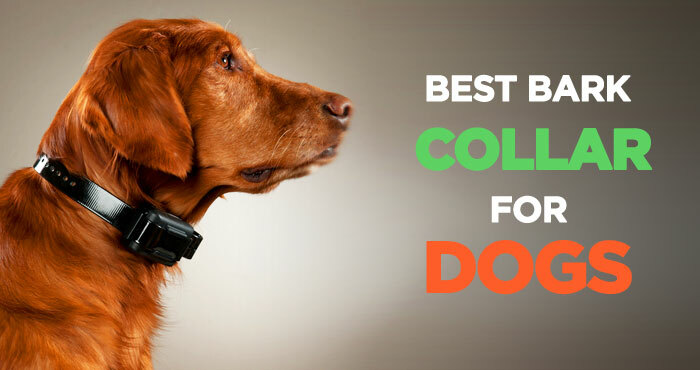 With the variety of bark collars on the market, it’s often very hard to pick the best one. Here are some guidelines you can use when choosing the first bark collar for your pooch. First of all, always remember that comfort goes a long way. Make sure that the collar is comfortable for your dog, especially if it’s to be worn at all times. If your dog isn’t comfortable in the collar you’ve chosen for them, then the whole thing becomes very meaningless! A bad collar will just be a bother and an inconvenience to your pooch. All dogs are different! 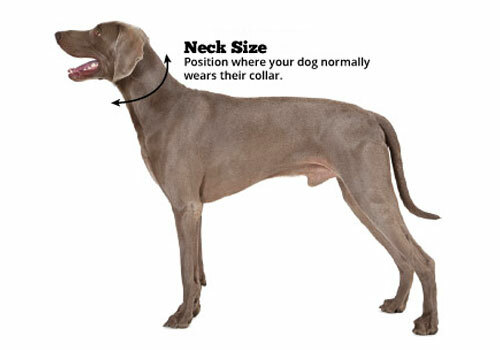 When choosing a collar, always consider your dog’s temperament, breed, and even size! For example, the best bark collar for small dogs might not be the same as the one for bigger breeds. Before buying a collar, always do your research. 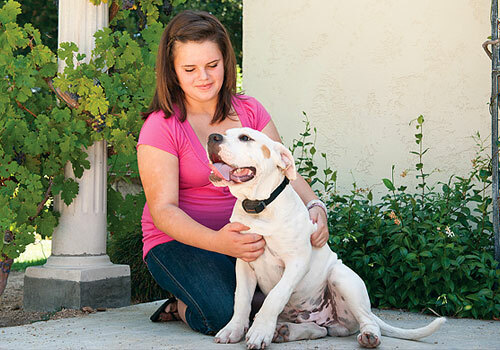 That’s why guides like ours exist – to guide you to make the best choice possible for you and your pooch. Read up on them, and on bark collar reviews as well. All collars can’t be used everywhere – surroundings matter! Maybe only one dog in your household has a barking problem, but if you get them an ultrasonic bark collar, for example, it might impact other dogs in your home. Always keep that in mind. Experts suggest against buying a bark collar that only uses batteries from that particular collar’s manufacturer. It’s extremely costly, and those batteries often have a limited lifespan. Stick to what you know! Finally, make it a rule of thumb to avoid collars with single-level settings. Not only are they not very effective (as your dog gets used to it easily) but they sometimes tend to be more extreme than necessary. Always look for a collar that has at least five different settings and start with the lowest one. Opinions around bark collars are very polarizing, but it’s important to remember that bark collars are completely safe and are used as a method of training and enforcing good behavior rather than punishment. Acclimate your dog to the collar gradually. Fido might not take to being sprayed/shocked/hearing ultrasound easily. If you see that your dog is showing discomfort, take the collar off for the day and then try it again tomorrow. There’s no rush in learning. Some bark collars actually have nothing to do with barking. Those are the collars that come with buried wiring, also referred to as an invisible fence and restricts the territory where the dog is allowed to go. When buying a collar, always make sure it’s the one that suits your needs. Don’t forget the positive reinforcement. While the collar is there to remind your dog that incessant barking is bad, they shouldn’t feel like they’re being punished all the time. Remember to praise your furry friend when you see that they’ve stopped barking, or to give them a treat. That way your dog will know that their efforts are appreciated. Don’t just rely on the collar. Dogs bark for a variety of different reasons including, but not limited to, stress, fear, separation anxiety, loneliness or boredom. Always identify the root of the problem. The bark collar will help you control it; however, it won’t solve it for you. We always want our pooches to be well behaved and well mannered. However, their good health is really the most important goal of all. To make sure your dog is safe, healthy and happy while wearing their bark collar, here are some important safety tips to remember. Never use a bark collar on puppies. Dogs under 8 lbs. or 6 months of age are just children – they learn, test and experiment with new experiences. Using a bark collar on them can severely impede their learning abilities and traumatize them, because they’re not old enough to understand they’re not being punished. Never use a bark collar on a rescue animal with a history of abuse. Those dogs have high levels of anxiety and any kind of negative stimulus, even if it’s just the harmless citronella spray, can make them scared and worried that they’re back in their old abusive environment. Dogs in poor health shouldn’t be disciplined with bark collars. That goes for dogs with both physical and mental health problems. Bark collars can cause strong discomfort in old dogs or stop the healing process of any canine recovering from an injury. Never use the bark collar on any other animal – especially cats. We don’t know why anyone would do this, but still, just to be safe. Always choose the right size of collar for your dog. A collar that doesn’t fit correctly is extremely hazardous to your dog’s health and won’t do anything to reduce their barking. Always observe your dog when they’re wearing the bark collar. They’re normally water resistant and quite resilient in general, but one can never be too safe. Does that seem like a lot of overwhelming collar info? For a first time buyer, that’s sure a lot of things to go through! That’s why we’ve taken the courtesy to do some legwork for you and cherry-picked some of our favorite products on the bark collar market. 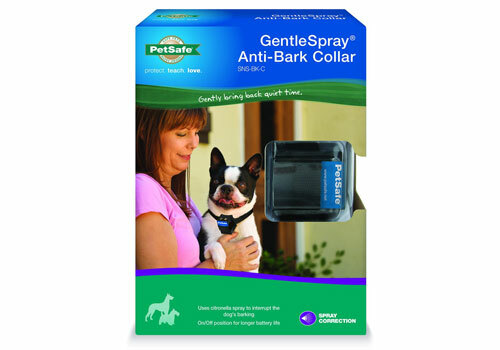 The PetSafe Gentle Spray Bark Collar is a citronella spray collar that uses a citronella spray as its aversive stimulus. It conditions your dog against incessant barking by using a harmless spray, and it does so slowly and gently. 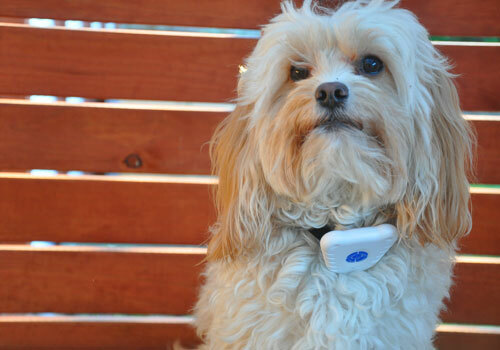 The collar uses a microphone and a vibration sensor that can pick up your pooch’s barking patterns. The spray distracts them from whatever it is that they’re barking at and gives you the opportunity to redirect their attention. The PetSafe Gentle Spray is water resistant, and it uses a 6-volt alkaline battery, which is included in the package with the collar itself. Refilling the collar is very easy and intuitive – no need to be a tech wiz! 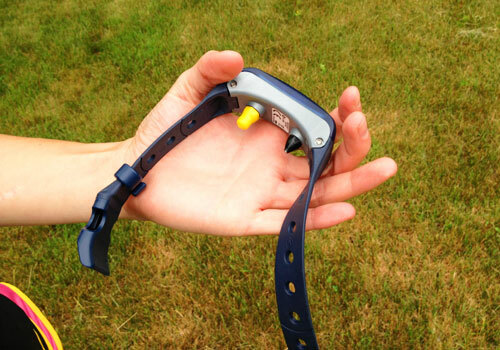 If you’re feeling a bit skeptical towards bark shock collar, then this spray collar is a perfect choice for you. Its positive effects can be seen in the very first weeks of use, and the citronella scent is only mildly annoying to your furry friend. Click here to buy PetSafe Gentle Spray Bark Collar on Amazon. This PetSafe Deluxe Bark Control Collar has not one, not two, but eighteen levels of static stimulation, making it suitable for dogs of all temperaments and sizes! The PetSafe Deluxe Bark Control uses patented Perfect Bark technology to detect your dog’s barks both by sound and vibration. This collar has three correction modes, each of which has six levels of correction. 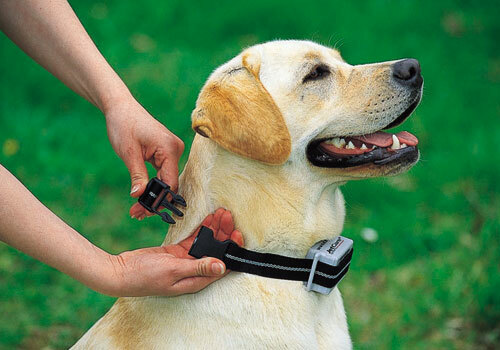 You can even adjust it so that the collar gradually increases the correction mode as the barking goes on. There’s also a great safety feature that you don’t see much around other collars – the automatic safety shut-off, making the correction stop after 30 seconds. Customers have also pointed out that there are next to no false triggers and that the collar sports a good battery lifespan. The other great advantage of the PetSafe Deluxe Bark Control is that it’s a lot more affordable than other similar products on the market. 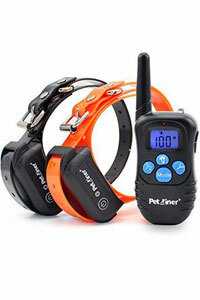 Click here to buy PetSafe Deluxe Bark Control Collar on Amazon. 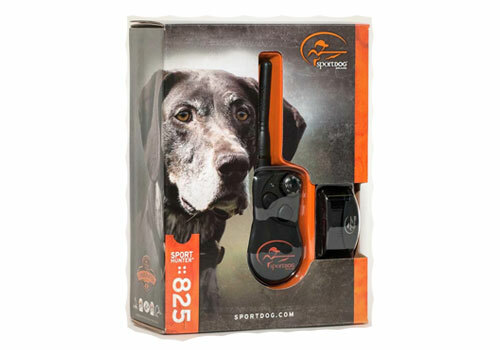 Efficiency and versatility is the key in the SportDOG SportHunter 825 – it’s got all the advanced, industry-leading technology to create an incredibly efficient dog collar for whole packs of dogs if necessary! This model has a brilliant range of one to two miles and is specifically suited for energetic, big dogs, especially suitable in upland and multi-dog hunting situations. It boasts an impressive 7 levels of stimulation, with intensity ranging from low through medium. It can expand to three dogs with the purchase of extra collars! The package consists of a transmitter and receiver, both completely waterproof and submersible, making them last in even the toughest conditions. This collar also offers the option to train with either vibration or tone, for those who might be skeptical towards static shocks. The rechargeable Lithium-ion batteries are incredibly resilient too – they last from 50 to 70 hours per charge! 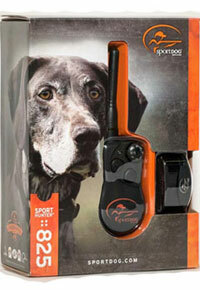 Click here to buy SportDOG Brand SportHunter 825 on Amazon. We’re now nearing the end of this bark collar guide, and all the abundant information might be getting to your head a little! We’ve compiled the basic info in our FAQ below, but if you have any other worries or questions, feel free to pop them in our comment section below this post. 1. Is the bark collar harmful? A commonly perpetuated stereotype is that bark collars are barbaric and abusive. This is completely untrue! Thousands of dog owners use them every day. If you make sure to take the correct safety precautions, then a bark collar will be nothing but a benefit to you and your dog! 2. Can I use the bark collar on any breed? Yes, absolutely! There are as many bark collar models out there as there are breeds, and one will definitely be a good fit for your pooch! Experts have tested bark collars on thousands of dogs, and they’ve worked successfully on all breeds without causing any harm whatsoever. 3. Can I use them for any size of dog? Size restrictions apply to bark collars. They can only be used on dogs that are over 8 lbs and at least 6 months of age. Any less than that poses a risk of the collar doing more harm than good. Consider behavior training if your dog can’t wear a bark collar. 4. Can I use the bark collar on puppies? Dogs under 6 months of age are just like human children and, statistically, bark a lot more than adult dogs. They won’t understand that you’re trying to train them and will feel punished, which can severely impede their learning abilities. Wait until they’re older to see if they have a barking problem! 5. Is the device the right treatment for my pet? No one will be able to understand that better than you! Only you know your dog’s barking habits and their personality. If you decide on training them with a collar, observe them closely. Are they exhibiting any fear, discomfort or anxiety? If they are, then this probably isn’t the best training method for you. 6. Will my dog need to wear a collar forever? Remember that collars are not a punishing method – they are a tool of learning. 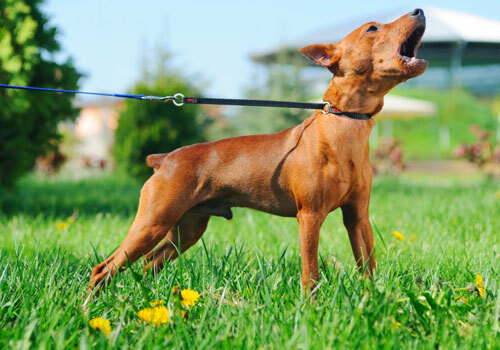 Once the learning process is finished, your dog will be trained to know that prolonged barking isn’t a good thing. This process varies for different dogs though, so don’t expect immediate results. Each collar comes with complete training instructions. 7. Will other dogs’ barking set off my dog’s collar? Collar technology is now increasingly innovative. It’s increasingly unlikely that your dog’s collar will be set off by anything else other than your dog’s barking. Just to be on the safe side though, you’ll probably want to make sure that your collar has vibration sensors as well, for extra protection against unwanted setting off. So what conclusions have we come to? 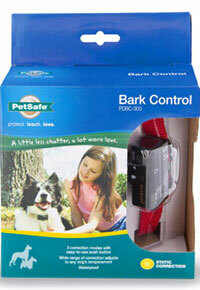 Bark collars are an extremely effective method of teaching your dog good barking behavior. They can be used in your absence too, so they’re perfect for owners who might not have time to train their pooches constantly. Experts have proven that all bark collars are perfectly safe for your pooch’s emotional and physical health. So if your dog has a problem with incessant barking, waste no time and start reading up on reviews of the best bark collars out there to give yourself and your neighbors some much needed reprieve! PetSafe Gentle Spray Bark Collar was reviewed by Brian Hersh on July 09, 2018. *Disclaimer: Our review on dog bark collars is based mostly on our expertise and the experts/veterinarians we consulted with and the information provided by the manufacturers. We do test many products, but it’s not possible to test them all. As such, please remember the above recommendations are our opinions, and before using any treatment, please consult with a local veterinarian.